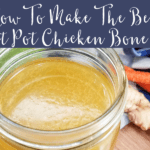 - I used silicone molds to freeze the bone broth and placed the same measured amount in each section. The blue trays held 1/2 cup each square, and the green trays held 1/3 cup each circle. This way if I need 1 cup broth, I can use 2 cubes or 3 circles.